Ernest Mancini, better known as Ernie by his friends and colleagues, was born in Reading, Pennsylvania, on February 27, 1947. He attended both grade school and high school in Reading, where he remained to earn his B.S. degree in Biology from Albright College in 1969. Ernie's scientific curiosity led him to graduate studies earning the M.S. degree in Zoology from Southern Illinois University in Carbondale in 1972 and his Ph.D. degree in Geology from Texas A&M University in 1974. While at Texas A&M, he worked under the supervision of Robert J. Stanton Jr. Ernie's earliest publications in 1977-1979 on depositional environments, ammonite biostratigraphy, foraminifera paleoecology, and micromorph faunas of the Grayson Formation of Texas emanated from his Ph.D. studies under Stanton. Ernie began his professional career as a petroleum exploration geologist for the Alaska Peninsula and Bering Sea areas with Cities Services Company in Denver in 1974. His interest in teaching and research led him to Tuscaloosa, Alabama in the summer of 1976 where he accepted dual appointments as an Assistant Professor with the Department of Geology and as a petroleum research geologist with the Mineral Resources Institute at The University of Alabama. He was promoted to Associate Professor in 1979 and Professor of Geology in 1984; a position he continues to maintain. Ernie's willingness to share his knowledge on the geology of the Gulf Coastal Plain is truly exceptional. He has supervised or is supervising 20 theses and 8 dissertations on micropaleontology and paleoecology, biostratigraphy and sequence stratigraphy, depositional systems and sedimentology, and sedimentary basin studies and petroleum geology. Since 1975, Ernie has given over 200 technical presentations to a broad range of academic, industrial, regulatory, and governmental organizations and agencies. He has conducted some 40 technology transfer workshops for the petroleum industry and has led 12 geological field trips for professional societies. Ernie has coorganized and/or co-convened 6 professional society conferences and 26 technical sessions for GCAGS, SEPM, AAPG, AGS, and GSA. Although widely recognized and honored as an outstanding speaker for his ability to communicate and educate, Ernie has also published more than 130 geoscientific papers on professional journals and over 200 abstracts in society journals and publications. He has served as president or chair, leader or co-leader, chair or co-chair, director or principal investigator, or member of numerous local and national professional associations, societies, and research programs and projects. Ernie is a committed member of numerous professional organizations and societies, and has received much deserved recognition form these organizations. He has enthusiastically served his profession in an exceptional manner. Although being known as an outstanding educator, Ernie's achievement as an administrator is equally widely recognized. The most notable among his several administrative positions was initiated on February 8, 1982, when he accepted an appointment to the challenging position of State Geologist of Alabama and Supervisor of the Alabama Oil and Gas Board. During his 14 years as its principal administrator, he successfully guided the organization through many years of change dictated by shifting emphasis in local and national research priorities and budgetary constraints. Because of his dedication to the citizens of Alabama and his steadfast integrity, Ernie established the Geological Survey and the State Oil and Gas Board as one of the most productive, efficient, and respected governmental agencies with Alabama. During his tenure as State Geologist, over 500 technical reports and maps were published on the mineral, energy, water, and biological resources of Alabama; also a new state geological map for Alabama was published. 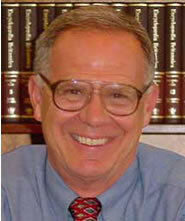 On January 16, 1996, he returned to devote himself to full-time teaching and research at The University of Alabama, and to serve as Director of the Eastern Gulf Region of the Petroleum Technology Transfer Council and as Director of the Center for Sedimentary Basin Studies at the University of Alabama. Ernie has served the GCAGS as chair or cochair of many of its annual technical sessions and as co-leader of several of its geological field trips, and, as well, has served AAPG as a member of the Division of Environmental Sciences Advisory Board and is currently chair of the AAPG Research Committee and Associate Editor for the AAPG Bulletin. Since 1977, he has an uninterrupted record of presenting technical papers at GCAGS annual meetings, earning five best papers and best poster awards as well as the prestigious A. I. Lovorsen Memorial Award. In 1998, Ernie received the GCAGS Outstanding Educator Award and in 2000 he was awarded the AAPG Distinguished Educator Award. He was the AAPG Pratt-Haas Distinguished Lecturer in 1987-88 and was awarded Honorary Membership to the GCS-SEPM in 1991. Clearly, Ernie is most deserving of the GCAGS Honorary Membership Award for his many years of dedicated service to GCAGS and his profession, for his numerous geoscientific contributions that have served to further our understanding of the geology of the Gulf of Mexico, and for his untiring efforts to educate us about the stratigraphy and petroleum geology of Gulf Coastal Plain strata.